After suffering bronchitis, epilepsy and MS as a teenager and experiencing extremely sudden fainting spells anywhere between one hour to one second prior to an epileptic ceizure, I can tell you what this experience feels like, and I can also tell you how to overcome it. I was never diagnosed with Long QT but I don’t think that label was given by doctors back then, but I can also tell you, this disorder is “NOT” incurable. — So,,,my advice is to completely ignore all the ridiculous Medical Doom-and-gloom Given By Medical Doctors About This Autoimmune Disorder Being Incurable. 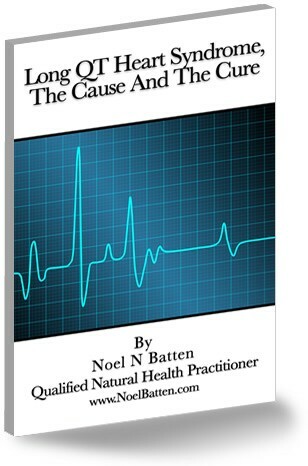 — You “CAN” Overcome This very unique disorder providing you follow the steps I explain in this eBook “Long QT Heart Syndrome, The Cause and The Cure”. 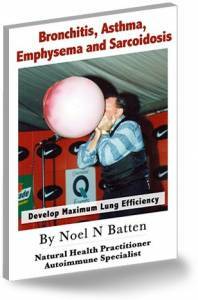 Apart from overcoming my own sudden fainting spells over 40 years ago and never experiencing them again in all that time, I have treated two Long QT Heart Disease patients and both overcame their symptoms. The first was a 14 year old girl whose guardians brought her all the way from Germany to put her in my Five-to-seven-day Personal Treatment Program. The second was an MS patient who did not realise that the same physiological problems that were causing her MS symptoms, were responsible for her Long QT Heart Syndrome, which is what I learned from the things I did, to overcome my MS and sudden fainting spells. 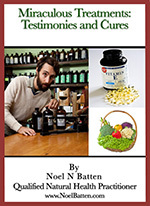 If You Decide To Purchase and Read This eBook, Contact Me: noelbatten@rocketmail.com and I Will Give You A FREE Half-hour Phone Or Skype Consultations To Guide You Back To Good Health. After experiencing sudden fainting myself between the ages of 12 and 15, while suffering from bronchitis, epilepsy and MS, I know the spasmotic sudden episodes of fatigue and mental confusion, and the anxiety and the faint inner nervousness, or inner shaking feeling that accompanies the dizzy spells, near blackouts and sudden fainting that Long QT Heart Syndrome patients feel. The Australian Health Department ignores these things that I experienced as an ex-patient, as being unimportant in trying to overcome this fatal disorder, but as an ex-patient, I know 100% that these facts tell a different causal story than that of the health department around the world. Instead of listening to how an ex-patient overcame sudden fainting, health department officials seem to prefer to keep prescribing drugs that don’t offer any real solution. On a Government website offered by the Australian Government Department Of Health and Aging, Long QT syndrome (LQTS) is explained as a genetic disorder characterised by arrhythmias which may, if left untreated, result in sudden cardiac death, mostly in children and teenagers. Cardiac arrest usually occurs during periods of increased physical activity or at times of psychological or emotional stress but may occur in response to a loud noise such as a phone ringing or an alarm clock (Schwartz 2006 and CIDG 2006). Unexplained fainting. This happens because the heart isn’t pumping enough blood to the brain. Fainting may occur during physical or emotional stress. Fluttering feelings in the chest may occur before fainting. In light of this factual medical information above, I would like to share my personal experience with sudden fainting, bronchitis, epilepsy and MS, and give my explanation of Long QT Heart Syndrome through my studies in psychomatics and anatomy physiology, when studying for my qualifications as a Natural Health Practitioner. To Say The Reason For Arrhythmias Is Not Known, Is Ridiculous! Most experienced chiropractors know from their studies and their curative experiences and observations that arrhythmias, spasmotic sudden episodes of fatigue and mental confusion, and the anxiety and the faint inner nervousness, or inner shaking feeling that accompanies the dizzy spells, near blackouts and sudden fainting can, and most commonly are, caused by skeletal misalignments of cervical vertebra, usually at the superior end of the cervixal spine. Due to the fact that medical leaders absolutely refuse to accept and promote to patients that chiropractic adjustments can possibly help a patient overcome any sort of autoimmune symptom, Long QT patients and many patients suffering from all types of autoimmune disease, continue on with their suffering and premature death. Please understand, I am not for one second saying that chiropractic adjustments will cure anybody of Long QT Syndrome, because they will not. — The six step approach to overcoming Long QT Heart Syndrome, which I explain in this eBook “Long QT Heart Syndrome, The Cause and The Cure”, recommends chiropractic as “ONE” treatment out of the six things you need to do, to reset the circadian clock in your mind, so it releases certain hormones at the correct times, so you don;t feel sleepy during the day, and feel active, during the night, and, so you overcome the excess muscle tensions that are responsible for pulling your spine out of alignment, to cause your physical symptoms. I also offer suggestions on how to reduce your stress, and how to deal with stress that only time can help you eliminate. 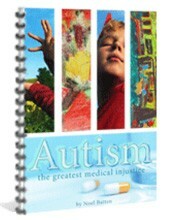 The specific health eBooks available on this website offer the medical explanations of each disorder as well as the natural therapy explanation, along with my opinions of the personal causes of each disease. 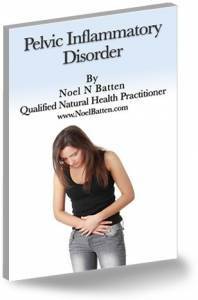 I include case histories in each and every eBook and the treatments I used to help clients who came to me for these disorders, to explain how I helped them regain their health and their lives. — You “CAN” overcome these disorders and in my opinion, it should be illegal for any person, medical practitioners included, to ruin a person’s hope and faith that they can be overcome, when many ex-patients have written books on how they have overcome them, yet medical doctors deter patients from reading them and expecting their own improvement and recovery.